Our resident tea expert Andy explores Kilian’s Imperial Tea, as he is searching for a jasmine tea in a perfume bottle. The unending lure of creating new tea-inspired perfumes never ceases to amaze me. I’m always convinced the tea fragrance trend is on the brink of disappearing, that perfume houses have labeled it entirely passé, until yet another tea scent is launched, much to my delight. In the past, I’ve found myself sometimes disappointed by tea perfumes, so when I found out about By Kilian’s new addition to the Asian Tales Collection, Imperial Tea, I sat up in attention. Calice Becker, the nose behind the radiant, green tea-inflected Tommy Girl, clearly authored Imperial Tea with a different point of reference. Imperial Tea takes a decidedly photorealistic approach to conjuring tea, in comparison to the airy abstraction of Tommy Girl and its relatives. However, with my overall feelings on Imperial Tea split, I’ve come to question whether or not this realistic approach is any more effective at capturing the spirit of twisted leaves and steaming cups. My qualms aside, the opening of Imperial Tea is remarkable, conjuring a believable smelling impression of jasmine tea. By point of comparison, I’ve smelled some of the jasmine teas in my collection, and while none of them are quite the same as Imperial Tea, the perfume seems to bring in the most elements of a jasmine green tea. Immediately after application, I smell transparent jasmine cut through with a muted earthen quality that well approximates the tannic astringency of a Chinese gunpowder green tea. Far from weighing the fragrance down, these somewhat bitter, ashy notes actually smell very refreshing and crisp. 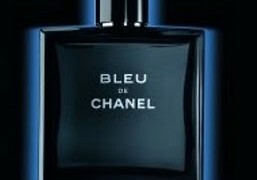 As the fragrance moves along, though, it loses the intrigue of the opening and begins to smell simple and thin, with the floral notes becoming more prominent, and joining with some clean musk. This drydown is decent enough, but it lacks uniqueness, and as Imperial Tea wears on I find the jasmine gains jammy sweetness and metallic qualities that make the perfume more reminiscent to me of hairspray than of fine fragrance. The problem I have with Imperial Tea is that my interest in it wanes the further it progresses. What starts with a fascinating opening soon fades into a disinteresting, and for me, mostly unappealing perfume. At the end of the day, even though I love the opening of Imperial Tea, the perfume as a whole leaves me mostly cold. Unlike when I brew a cup of jasmine tea, and I am transported away from my cares for a moment, Imperial Tea elicits no emotional rush. I’m glad to have a sample of Imperial Tea, because I’ll want to smell it on a blotter from time to time. 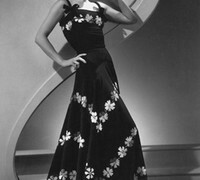 However, at the end of the day, if presented with Becker’s two tea creations, I’d probably rather wear Tommy Girl. 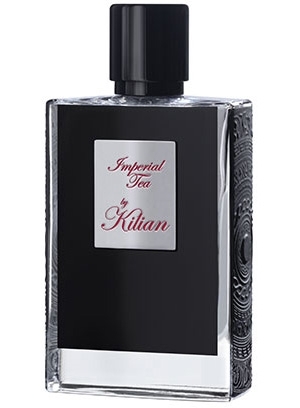 By Kilian Imperial Tea includes notes of jasmine sambac, bergamot, guaiacwood, yerbamaté, violet. 50ml/$245, $145/50ml, $155/4x .25oz (Travel Spray). Available at Luckyscent, Saks 5th Avenue, Neiman Marcus and other retailers. 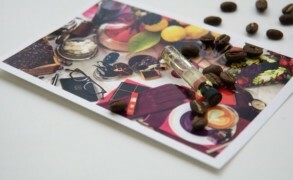 Extra: more tea themed perfume reviews. Aurora: Poor Andy, how disappointing! Thank you very much for this in-depth review, I hope you will find your holy grail of jasmine tea perfume one day. Aurora: Yes, that’s the right attitude, nothing beats the real thing. I’ve put Russian Tea by Masque Milano on my to-try list, though. Have you tried it yet? Andy: Osmanthe Yunnan is so exquisite, I’m not sure anything quite bests it anyway. But you may find another tea favorite yet–it has become such a wide category. Sandra: I actually loved Imperial Tea-but I do love a lot of by Killian fragrances. I actually like the dry down more then you do-but different scents for different folks. When I was in my “oud” phase I loved Cruel Intentions. One thing I can appreciate about the Killian fragrances is that a little goes a long way. You literally have to scrub it off if you want to apply something else. Hannah: I’m no longer interested in tea or coffee perfumes. I’m not really a fan of perfumes that are evocative of real things in general. Nikki: How wonderful your description of the Samovar and milk and saffron…I remember those times, too, but we used blackcurrant jam to sweeten the tea. The only tea fragrance I really like is Eau du The Vert Extreme by Ellena. I will have to try The Rouge though as it is often sold at a discount store here. Hannah: Tea with blackcurrant jam would be eastern European, right? I’ve only had samovar tea from Arab and Turkish restaurants. Sometimes I go to a nice cafe, and I’m in the mood for tea, but then I pay 2.50euro for a teabag of basic tea and I’m like “what did I do that for?”. Then I go to a falafel restaurant and I get a glass of tea for 1euro (or in one of those lovely little glasses for free sometimes) and it is so much better. I hope to get a samovar, or at least one of those Turkish double kettles, someday. Yes, you are right, Hannah, it was a friend from St Petersburg who introduced me to the blackcurrant jam, and it is fun, but best without little kernels, so jam is better than marmalade. It is like being in a Tolstoy novel…I love Russian tea, especially Tsar Nicholas 2 which is sold here in the States, it has some very subtle flavoring to it, truly delicious. Andy: While reading the comments, I just had to brew myself a cup of the real deal, and I was almost surprised how fragrant it is–I haven’t had any jasmine tea in a while. Hannah: Nomad Tea by CDG is tea, a lot of mint, and a lot of sugar. But it is discontinued and I don’t think decants are easy to come by.